ScienceSeeker | Science News Aggregator: Announcing the Winners of the Science Seeker Awards 2018! 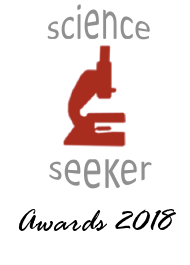 Announcing the Winners of the Science Seeker Awards 2018! No, it's not an April fool - we are announcing the winners of the return of the ScienceSeeker Awards! Thanks go out to everyone who entered. General science posts and graphics: Including posts from sites that correspond to our art, photography, general science and science communication bundles. Winner: Darcia Schweitzer at Promega Connections for Knots: Friend or Foe? The environment and our place in it: Including posts from sites that correspond to our anthropology, archaeology, climate science, conservation, evolution, geography, geosciences, oceanography, palaeontology and oceanography bundles. Winner: Shreya Dasgupta at Mongabay for Experience or evidence: How do big conservation NGOs make decisions? Podcast: Including posts from sites that correspond to our podcast bundle. No overall winner. Big biology: Including posts from sites that correspond to our behavioural biology, biology, ecology, marine biology and plant science bundles. Winner: Bridget Menasche at Science Buffs for Field Study. Congratulations to all the winners! We'll be in touch shortly with badges to show that you won. Thanks also to the judges, our editors: Shriyaa Mittal, Jesse Zondervan, Teodora Stoica, Thanassis Psaltis, Joana Neto, Natalie Holmes and Kayla Matz.